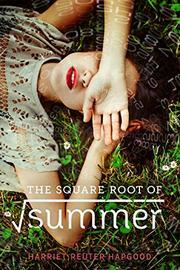 Love, loss, and unpredictable two-way wormholes haunt Gottie in this bildungsroman. Gottie’s first loss, at age 12, was her best friend, who moved away and never wrote. Her second was her beloved grandfather, immediately followed by the third, when her first love distanced himself from her. One summer later, Gottie’s grief hasn’t lessened, and she’s experiencing strange things—the world “screenwipes,” only to drop her off in various moments in the past. A math prodigy, Gottie seeks to explain what’s happening in terms of physics and numbers, but mounting evidence that she can’t ignore—especially what happens when both her old friend and her ex-love return to her life—points to a relationship between grief and the breaks in reality. Some readers may be confused by the narrative’s leaps among timelines and alternate realities—especially as Gottie is accepting of the wormholes, keeping them secret and stoically rolling with the punches—but the robust web of relationships and multidimensional secondary characters provide anchors. While Gottie learns a lot—not just physics, but also about people and life—her revelations come as slow developments instead of didactic lessons. The pacing ranges from slow to jerky, as time itself changes, looping and intersecting until finally artfully converging.